Have a question for Pondok Sari Cottage? Ideal for fun and relaxation, Pondok Sari Cottage is located in the Ubud area of Bali. From here, guests can enjoy easy access to all that the lively city has to offer. With its convenient location, the hotel offers easy access to the city's must-see destinations. Offering hotel guests superior services and a broad range of amenities, Pondok Sari Cottage is committed to ensuring that your stay is as comfortable as possible. To name a few of the hotel's facilities, there are free Wi-Fi in all rooms, Wi-Fi in public areas, car park, room service, airport transfer. Guests can choose from 5 rooms, all of which exude an atmosphere of total peace and harmony. Throughout the day you can enjoy the relaxing atmosphere of the hot tub, spa, massage, garden. Whatever your reason for visiting Bali, the Pondok Sari Cottage is the perfect venue for an exhilarating and exciting break away. On the positive side, the rooms were very spacious and quite comfortable. The garden was immaculately kept. The only problem was the staff, which was very friendly but also very absent from their duties. Finding them was part of the issue, as there was no reception. Cleaning was neglected. When asked to clean up the room, staff would offer resistance before eventually doing it. Breakfast was served at a private balcony and I would frequently find it already served and consumed by ants, as the staff would just leave it there without any notice. It is still a good budget option but be prepared to persuade the staff to do the most basic of services. it was amazing..i stayed here for two nights,the room was big.nice view from the room.the staff so friendly.it was a nice hotel. We arrived at night around 11 and tried to find the reception desk but it seems like no reception at all. We need to call the hotel, and after few minutes a staff came to us. We booked a deluxe room, but unfortunately the room that we booked had a problem with the AC, we asked if we can move to another room, but the staff said no room available. We a little bit upset, but the staff tried to find a solution, after making a few call, he said he would transfer us to the hotel just accros the street. We were happy because if we'd like to compare, the room is more clean and comfortable than the previous room. What i can say about the pondok sari cottage is the location, relaxing and quite. Experience is bad. will never go back to this hotel. Heater was not functioning sometime. No soap provided. The hotel is located 500m from the main street. You can enjoy the peaceful and quiet surroundings with the splendid view of paddy fields whilst the restaurants and shops are just at walking distance. We were told the hotel is pretty new but the hotel doesn't seem to look new as it should be. Bathroom door handle was broken, and poor drainage in the bathroom causing the bathroom flooded after shower. The cups provided have stains and not clean.There were no fridge, ceiling fan and TV in the room. But free wifi was provided. We asked for extra bed but no blanket was provided for the extra bed. The staffs are somehow friendly and tried to accomodate our needs as much as possible. The staffs can only speak limited English. But most of the time there is only one staff around. Breakfast was the banana pancake with fruit salad but the portion is too small. No beverage was provided. it was very nice to stay at Pondok Sari Cottage, specialy it is close to the city and culture centers of Ubud. When we arrived there they said all the rooms are full they took us to another hotel with our air-con, they are cheating they will send you to another hotel which is more like guest room and there is no one to answer there is no reception. I had big argue with one of the staff but he could do nothing. I do not know why agoda do not do any thing about these cheaters. I do not recommend you to go there. I was planning to stay for 1 night only and decided to add 1 more night. Found that this hotel is very close to main road of Ubud. There is only 2 main building with 2 room each. The bathroom is large including bathtub. The room was clean and well prepared. The staff was nice and helpful. The garden was good and tidy. The cons :Doesn't have front office. No TV. Build quality of the cupboard was not good. 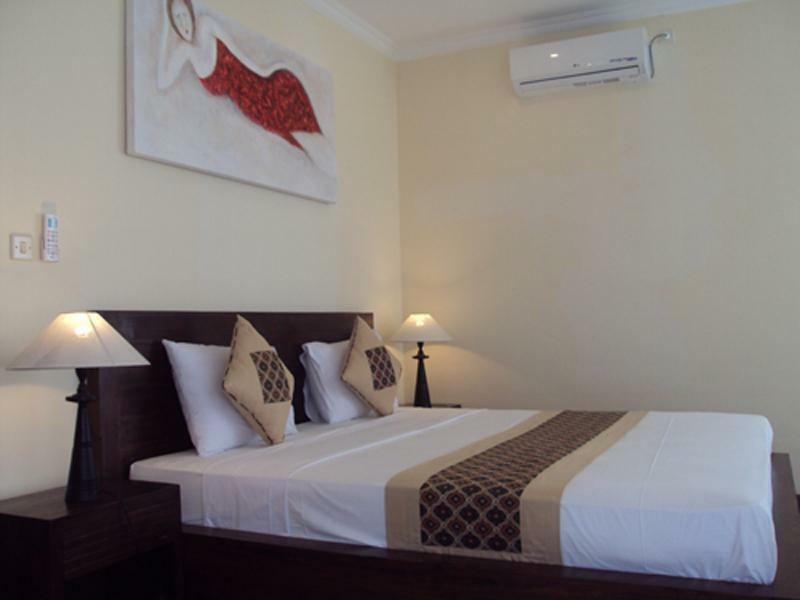 Hotel is located in a good location, only 10-minute walk to Ubud center. Breakfast was delicious. There's no television and refrigerator in the room. I booked another night cos I liked the modern room, but hotel staff kept bothering me, and they are new and have issues about maintaining the hotel. Need a driver there, far back. Quiet, and private. It was OK for rest. Staff sweet n must communicate clearly.